About TNC - The Nature's Co.
Embark on a journey of discovery, immerse yourself and surrender to the wondrous creations at The Nature’s Co. - a place where the inspiration is nature and only natural, luxurious products for the skin, hair, and body will be found. Apart from the fabulous products, TNC has its own beauty box, called - Beauty Wish Box which you can check out here. Sandalwood is truly one of Nature’s most versatile skin care remedy used since centuries. It nourishes and moisturizes your skin giving a radiant glow, while it’s antimicrobial, inflammatory and purifying properties removes excess oil and toxins from your skin by increasing blood circulation making it clean, fresh and acne free. Wet face; squeeze a small amount into palm of the hand. Gently massage into face in circular motions. Rinse off thoroughly with warm water. Use every day, morning and night. 👉Packaging: Comes in a see-through squeezable tube with a safe flip flop cap. There is a tiny nozzle to control the flow of the product. The cap will get sticky after regular usage so if you want to carry it in your handbag, make sure you have wrapped it in a tissue to be on a safer side. 👉Color and Consistency: It is honey brown in color with a runny gel in consistency. 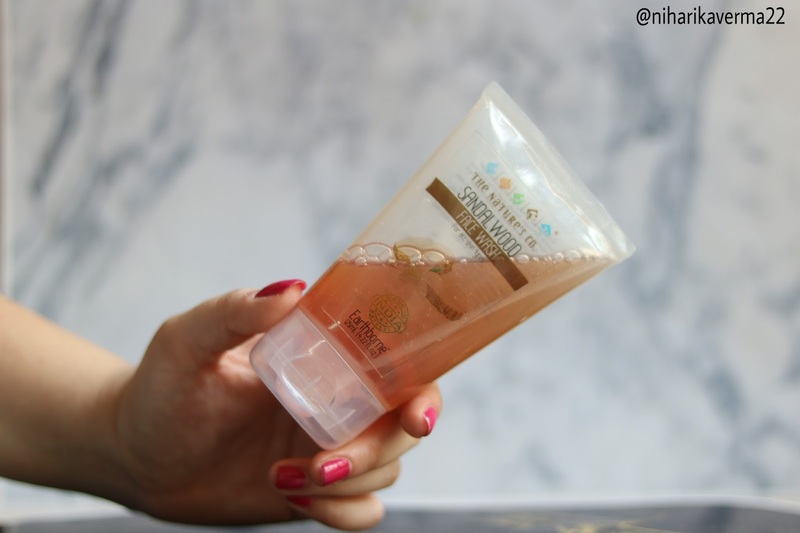 Turns into airy foam with a tiny amount of the face wash.
👉Effectiveness: I will call this a perfect Face Wash for Sensitive Skin. Either sensitive-dry or sensitive-oily, this is for you. 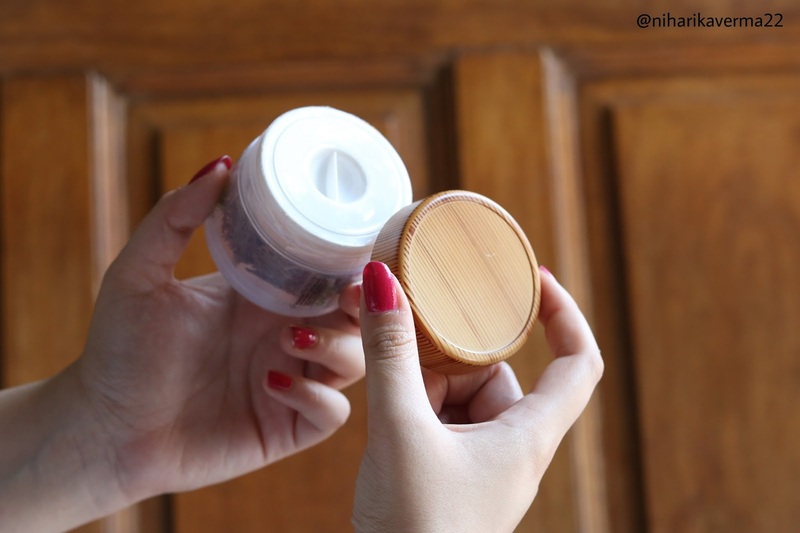 It has the perfect mildness for my sensitive skin, not being too harsh and at the same time, it effectively and gently removes all the dirt and oil from my face while maintaining the skin health. Not just dirt and oil, but it also removed the makeup. 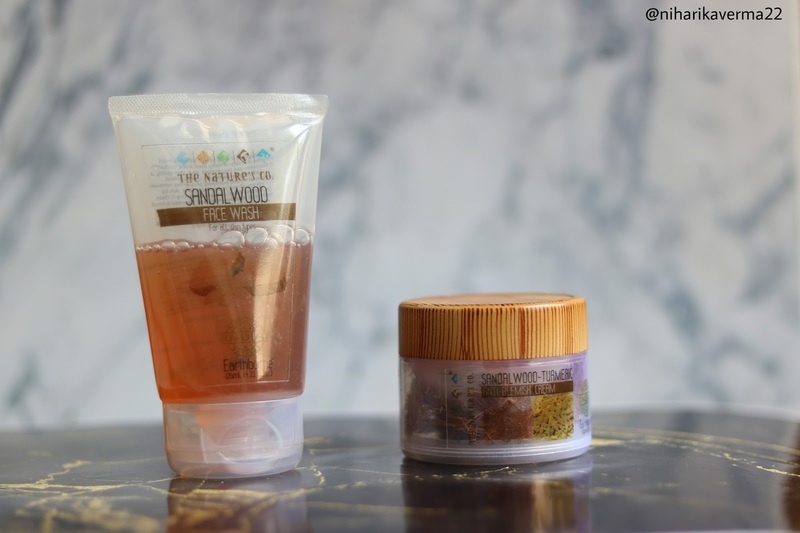 I am not much attracted towards mild facewash because they are more towards hydration and I need something to pull out the excess oil and keep it oil free. But this face wash won my heart by being a perfect combination of mild and an oil-free face wash. The reason I love using it is it's antimicrobial, inflammatory and purifying properties. I feel like my face is not just being cleaned, but sanitized. It definitely calms the skin temperature. It is said about sandalwood that it brings positivity. Yes, it does! Whenever I wash my face with this, I feel like all the stress, negativity, sun heat, and pollution is out from my face. Really, gives my face a clean, fresh and a healthy look. It didn't work on complexion or something but what I noticed it brings on the glow and skin health. My facial skin looked more healthy. 😇 It is suitable for acne prone skin as well as it reduced the redness of pimples and works on them at a very slow pace. Get blemish-free skin the natural way. An essential blend of Sandalwood, Turmeric, Neem, Calendula, and Basil, gets rid of bacteria, reduces inflammation, disinfects and heals damaged skin. It even helps reduce acne scars. Wash face thoroughly. Apply a small amount directly onto scars and blemishes as required. Leave it overnight for the best results. 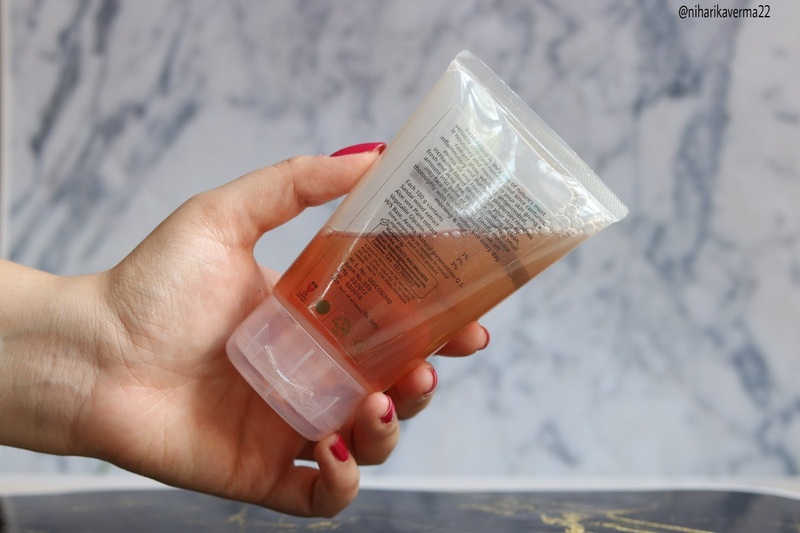 👉Packaging: Comes in a plastic tub jar with a double lid packaging. Outer Cap is attractive and is a screw cap. 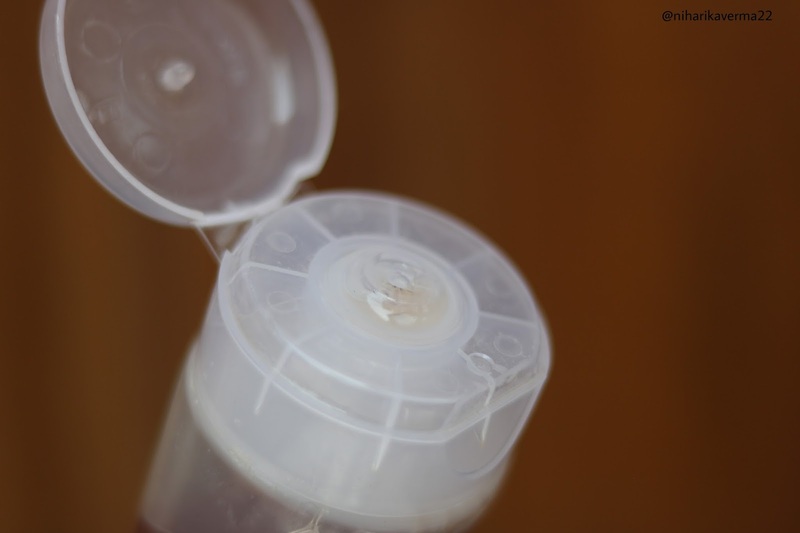 The inner lid is a pull-out lid to protect the cream from spillage. Safe for carrying in handbags. 👉Color and Consistency: It is very mild coffee brown in color is thick cream in consistency. 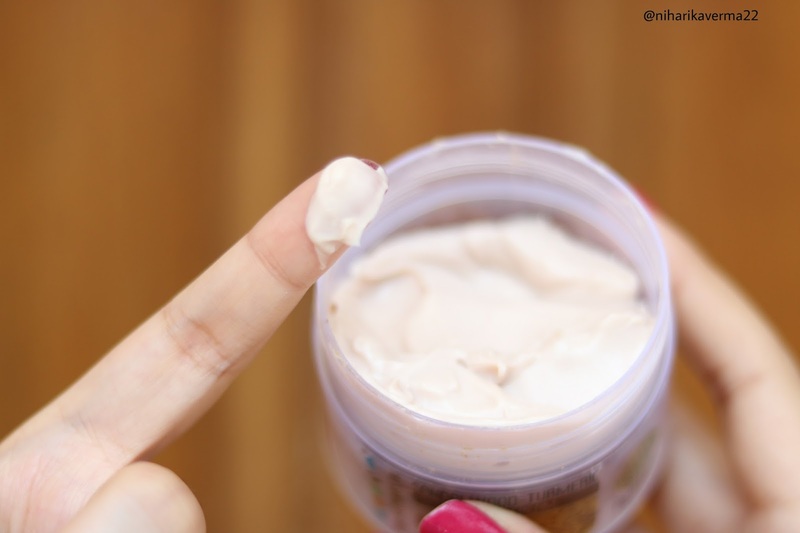 👉Effectiveness: I will call this "Moisturizer with Benefits". But as I mentioned that it is thick in consistency, it takes the time to get absorbed into the skin and feels sticky for the first few minutes. You won't get oil free or lightweight feeling. 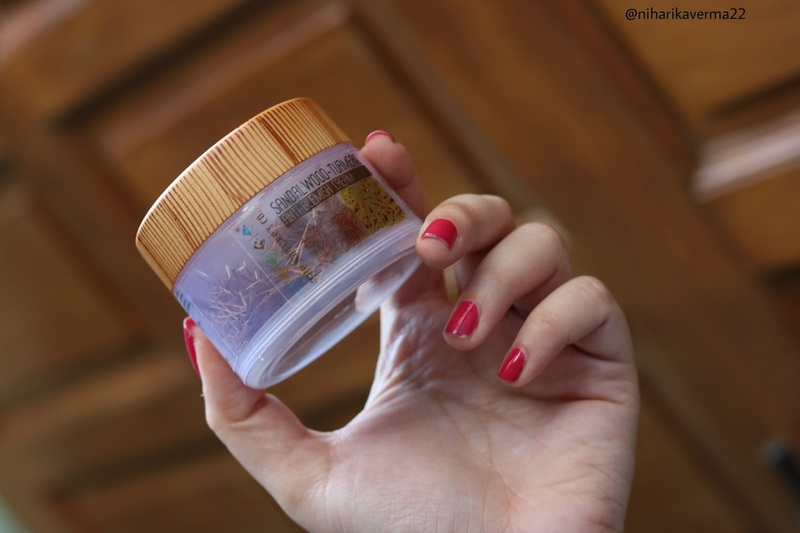 After a few minutes, it totally gets absorbed in and gives me a well-hydrated face. If your routine includes being in an AC-Room then you won't feel any stickiness or oiliness later on. But if your routine gives you sweaty face, then you will get the oily feel and look soon. 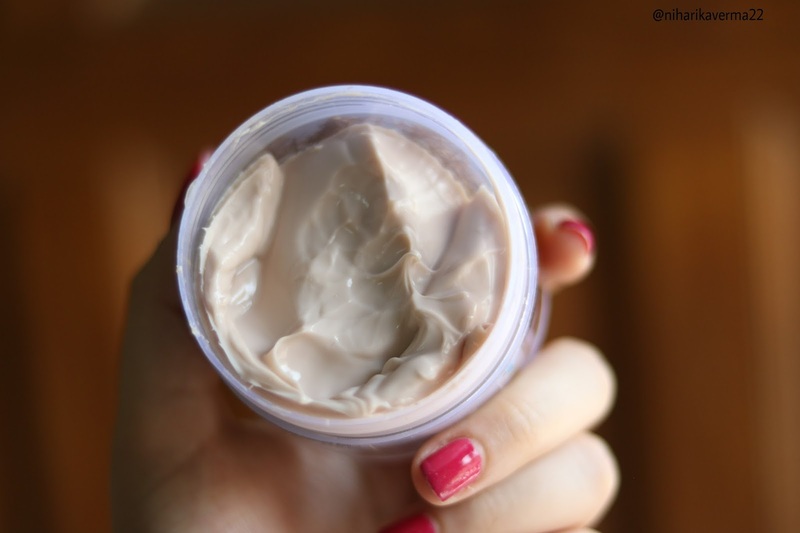 Plus, it won't give you shine-free look that's why I will suggest you use it as a night cream if you have oily skin. 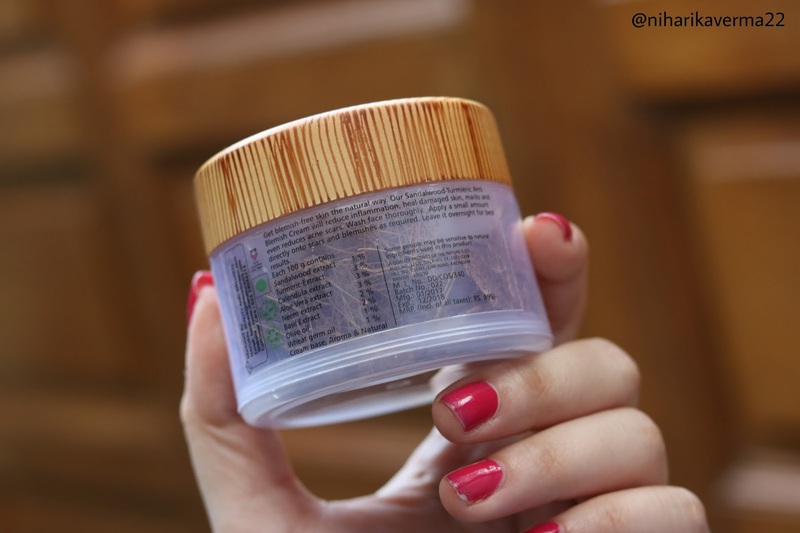 If you have dry skin, then you are going to love this as the hydration level is much more towards for dry skin. By Benefits I mean to say, it instantly gives my face a healthy look. After the continuous usage, I can definitely say it has improved my skin texture and worked on blemishes esp. on my cheek area. No doubt, it is true to the claims of being an anti-blemish cream. I use it sometimes as a day cream and sometimes as a night cream. It says it will repair damaged skin and it really does. I feel like it added suppleness and bounce to my skin making it soft and hydrated. It is really a replenish cream. Coming to the effectiveness on pimples, it does reduce the size and redness but takes time in totally fading them out. For pimple marks, it will really be going to take some time as it faded some of my minor pimple marks. It also improves the skin complexion and removes temporary tan day by day. That's why it is the moisturizer with benefits. 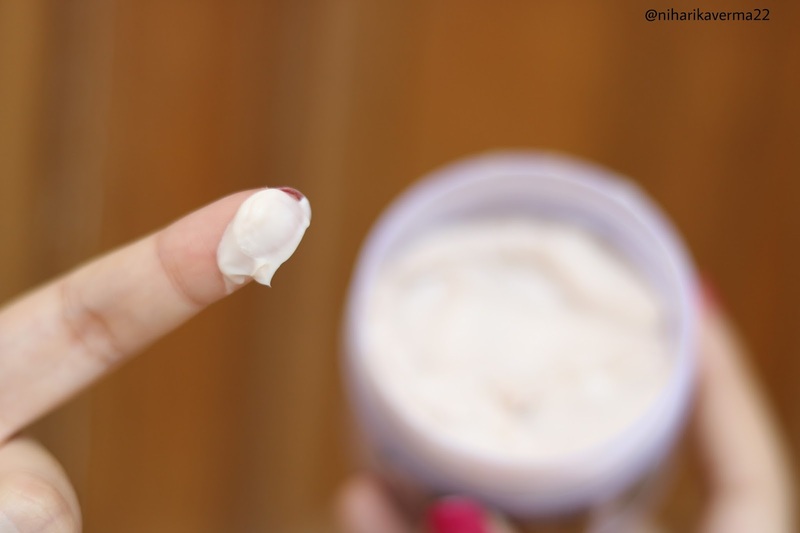 But if you have oily skin, and you are simply looking for a moisturizer, you may not think this as a perfect fit for you because it is not an oil-free cream. I want to go for the face wash. Though the price is on the higher side, but for TNC, I can afford. Thanks for sharing. Wow! Such an indepth review. I would love to try the facewash as the cream wouldn't suit me, I guess. Good to know about new products. Does sound expensive.